Maria: Oh mediator, have you finally come? Freder: You called me - - here I am! Restored Kino DVD changed my view of this film. 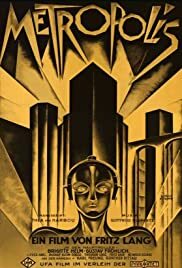 I doubt that I'd ever seen anything resembling a "complete" version of METROPOLIS before, though certain of its scenes were familiar to me, if only as used and abused in such films as Diane Keaton's HEAVEN (1987). In any case, whatever I had seen before had nothing like the clarity and beauty of the Kino restoration. I expected to be distracted by the restoration's technique of concise written descriptions of missing sequences, but the narrative coherence that these provided was definitely worth it. As "exaggerated" as the style of acting seems by contemporary standards, some performances, such as the Master of the city, are amazingly nuanced and layered, and Brigitte Helm is stunning as both Maria and her evil clone. The meticulous design of the film, the unerring camera placement and Lang's muscular choreography of the crowd scenes are breathtaking. 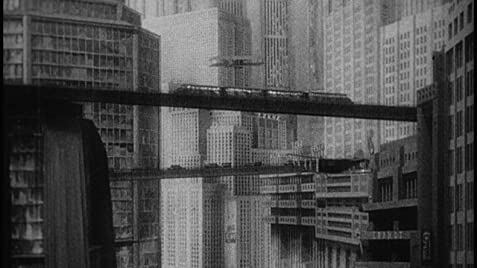 I'd thought of METROPOLIS as a curiosity ("important" = "dull") but now I've come to appreciate it as the seminal work it has always been. 150 of 176 people found this review helpful. Was this review helpful to you?